'A profoundly pleasurable book which offers that rare combination of daring, accomplished technique illuminated with extraordinary simplicity and clarity. 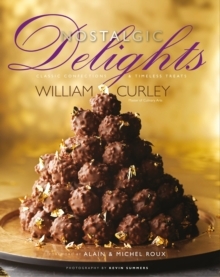 His latest must-have book will inspire and delight.' 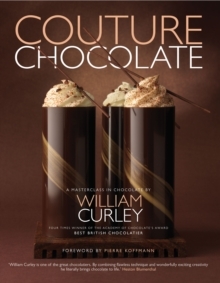 Michel and Alain Roux Patisserie reflects award-winning chocolatier, William Curley's passion for taking classic recipes and modernizing them with his own innovations. Creating top-quality patisserie is often seen as something only a trained professional can do, however with patisserie equipment now easily accessible to all, it's easy to start making perfect patisserie at home. Patisserie processes are broken down into a step-by-step guide complete with expert knowledge to produce flawless creations every time, and a series of basic recipes - covering sponges, creams and custards, pastry and syrups - provide a solid foundation in patisserie techniques as well as inspiration for aspiring creative pastry chefs. 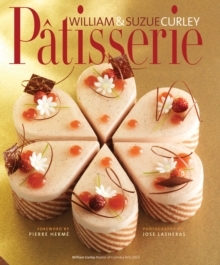 Packed full of mouthwatering delicious recipes, including classics such as Rhum Baba and Tarte Alsacienne that are given a modern adaptation, this gorgeous bake book will awaken and inspire the pastry chef in you!